This month's flavor was Traditions! 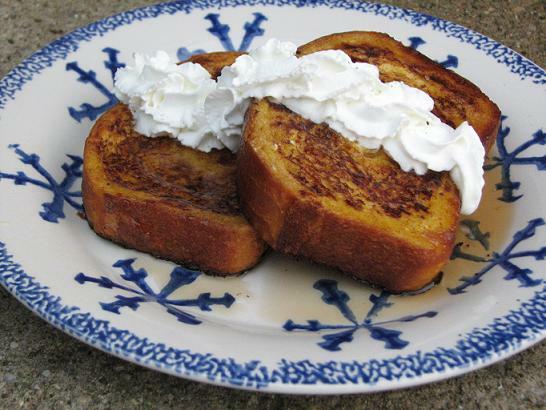 French Toast is something we love to have for breakfast in the winter time. I made this Pumpkin Brioche French Toast for breakfast on Thanksgiving morning and it is sure to become a tradition in our house! It was amazing! To see other Traditions this month check out Bake at 350! I followed the instructions for Pumpkin Brioche found here! The next day I sliced the bread and made a mixture of egg, milk, a teeny bit of sugar, and a few shakes of pumpkin pie spice and used that to make the french toast! Simple! Here it is sliced up for Kidlet. He has the Pumpkin Brioche French Toast, checkered apple, grapes, carrots, and a little bottle of syrup! This is how I ate my french toast! Yum! It smelled just like pumpkin pie and tasted delicious! Oh, you're killing me here! This looks AMAZING!!! 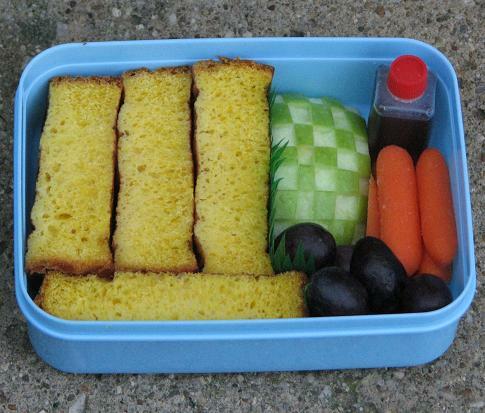 And, can you please pack MY lunch everyday?!? Reminds me of the pumpkin pie pancakes I made here for dinner tonight! Uh, I should NOT have clicked over! Now am craving brioche french toast!!! Looks totally YUM!! Yum, it looks and sounds fantastic!